A prototype of Six Senses Soneva Kiri Eco Villa was singled out as one of the five unique installations being showcased at the 2011 Earth Awards. The five-day festival ends on July 31 and is being held in the gardens of Clarence House, London. The Earth Awards are part of the Prince of Wales’ Start initiative, which invited Earth Awards to showcase the winning innovations. All five designs address the challenges of facing the world today due to climate change – with immediately implementable ideas. The original Eco Villa was designed by one of Six Senses’ architects, Louis Thompson – a prototype zero carbon emissions structure that showcases a number of experimental environmental technologies and uses locally sourced building materials. Sonu Shivdasani, chairman and CEO of Six Senses Resorts and Spas, said he was honored to have Soneva Kiri by Six Senses’ Eco Villa selected for such a prestigious event. The replica villa will later be relocated to Lydeny Park Estate for public viewing and where it will become home to a permanent centre for learning about sustainable practices. This year’s event was free for up to 10,000 guests. Start was initiated by the Prince of Wales in 2008 as a new project to raise awareness about the consequences of climate change by presenting tangible solutions that everyone can easily integrate into their daily lives and achieve a more sustainable lifestyle. An international competition was launched to identify examples of sustainable design in six different categories – built environment, product design, systems, fashion, social justice and future. Six Senses operates 15 resorts and each is operated and run on Six Senses’s core principle of SLOW LIFE, which stands for Sustainable, Local, Organic, Wholesome, Learning, Inspiring, Firm, Experience. Tamarind Village Spa at Chiang Mai has a special offer for mothers throughout August – a 50% discount on any massage treatment. 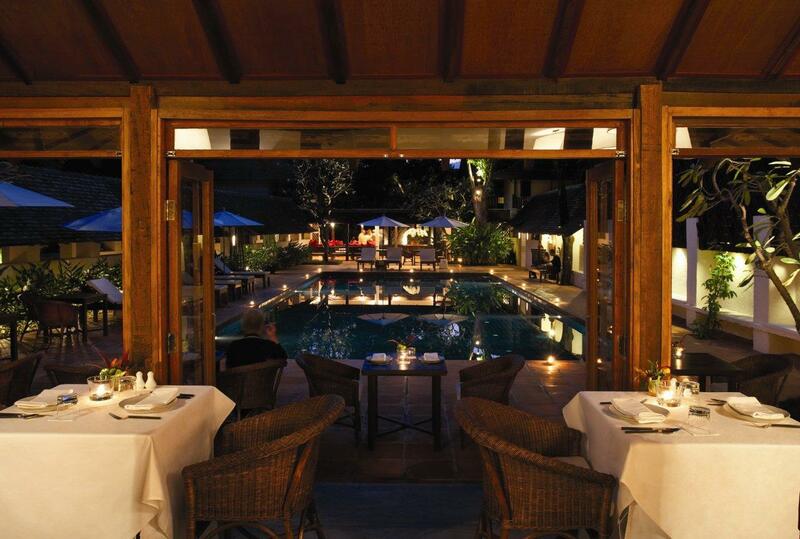 The Village Spa at Tamarind Village, Chiang Mai is a sister hotel of Rayavadee, Krabi. Mother’s Day in Thailand is celebrated on Aug. 12 every year – but the discount applies to mothers from Aug. 1 to the end of the month. The 90-minute signature massage — 3,200 bht; traditional Thai massage — 1,200 bht; traditional Thai massage with hot herbal compress – 1,600 bht for 60 minutes and 2,400 bht for 120 minutes; The Village hot stone massage – 2,800 bht; aromatic elemental massage – 2,200 bht; head massage – 1,600 bht; and back, neck and shoulder massage – 1,600 bht. With the launch of Anantara Cruises, there’s now a way to see a side of Bangkok very few people get a chance to experience. It includes a cruise around Bangkok’s intricate network of waterways, canals and rivers aboard a restored 100-year-old rice barge offering five-star luxury and amenities. You’ll be able to see locals living on the banks of Bangkok’s Chao Phraya River, creating vivid snapshots of a bygone age in between glittering temples like the Temple of Dawn, landmarks like the Grand Palace and the Royal Bargees Boathouse, striking bridges and building that reflect the city’s evolution over the past two decades. Two of the century-old barges – Anantara Song and Anantara Dream – have been painstakingly rebuilt from teak and restored to add to the lure of a real Thai adventure. Guests can join the two-night, three-day Ayutthaya Adventure, accommodating up to hour couples on the Anantara Song or reserve it for private charter. The 20-metre ultra deluxe river boat, dubbed the Orient Express of the River, blends warm teak, padua and mahogany to complement the custom-made furniture covered with Thai silks and cottons. Oriental rugs were chosen alongside Thai and Southeast Asian art, sculptures and artefacts. Many accessories were sourced from artisans along Thailand’s rivers and canals and even remote rural areas. Both barges were renovated to provide privacy and comfort. Separate crew quarters give guests the feeling that they have the boat to themselves. Guests reside in air-conditioned staterooms filled with five-star luxuries. Breakfast, lunch, afternoon tea and dinner are served on the upper deck, which has been built into an expansive lounge and dining area with a full bar. 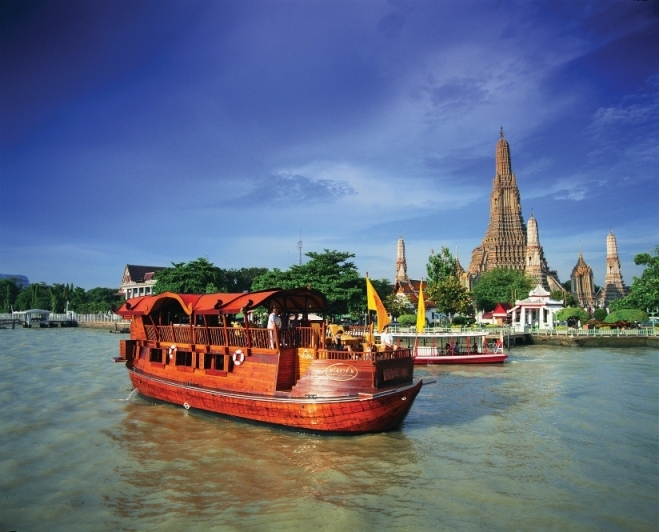 Guests can choose between two tours – Ayutthaya Thousand Golden Temples Tour and the Ang Thong Mystic River Tour. Anantara Dream voyages also offer luxury discovery experiences such as a private cooking class; an onboard yoga retreat; a Thai wine-tasting class; a self-guided walking tour at various points along the way; even learning the art of sailing the old river barge on the “river of kings” from the captain. 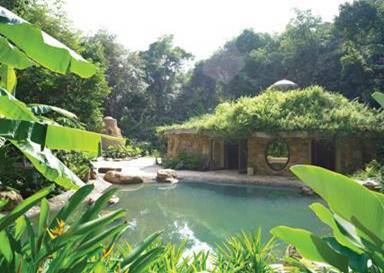 BHT 69,000 net per cabin in the case of the Anantara Song for the two-night, three day package. Or BHT 230,000 for private charters. Anantara Dream is available for private charters only – BHT 200,000 net for 1-4 passengers for the two-day, three-night package. 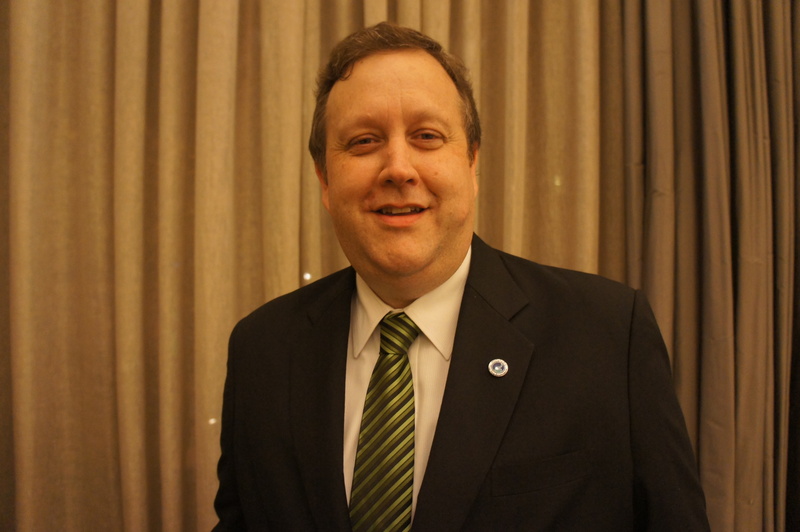 Andrew Jacka, president of the Thai Spa Association, is the first to agree. The spa industry is not ready to deal with the next big wave in Baby Boomer expectations. The first Baby Boomers are already into their retirement years and many are suffering from the diseases that affect the aged – heart/stroke problems, cancer, diabetes. This trend will accelerate over the next 10 years. Catering to the gray market is one of the items the Thai Spa Association will be considering at its meeting in October and Andrew has high hopes that “a real start” will be made at this session. Asia doesn’t have a building code, as do many countries in the West, which provide for disability access, although in Thailand, he added, we’re beginning to see more spas on a single level. The industry has already begun to realize this. In Thailand, you can see it in the attitude of senior industry people and even among the younger people coming into the industry who have a different mindset. “It’s reasonable to assume that over the next few years, we’ll see significant changes in the way these things are approached – with people looking at it with a long-term perspective and in terms of its business potential. It’s a special market with needs that have to be addressed. The global industry has been talking about the growth in medical spas for some time. This growth hasn’t materialized in Asia yet but that, he adds, is about to change – if the industry hopes to cater to an aging population. In Thailand, the industry has been heavily focused on pampering, based on what clients want at most Thai spas. “But wellness is coming. Some hotel spas are starting to move it forward in a big way. But for the moment, it’s still seen as a marketing term more than a level of reality,” he said. In Thailand, it’s also caught the eye of property developers, who are talking about developing residential complexes with a destination type spa and a medical facility within them. 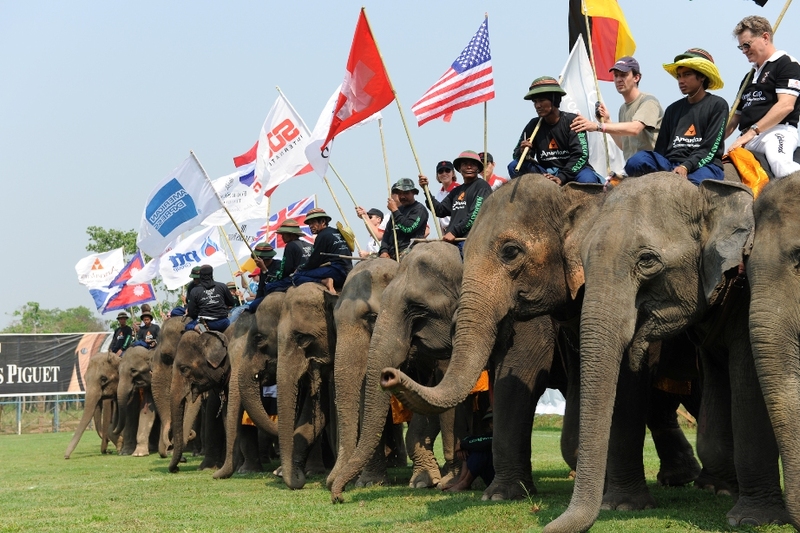 Anantara Hua Hin is offering a special package to guests who would like to attend the 10th anniversary of the King’s Cup Elephant Polo Charity Tournament from Sept. 4-11, 2011. Prices start from BHT 79,000 and include: Accommodation in a premium or lagoon room or an Anantara suite; daily breakfast for two; VIP access to all areas; daily light lunch on the elephant pitch; round-trip transfers between the hotel and the pitch; special elephant polo shirt; photos with players and elephantsw on the pitch and one mini spa treatment at the pitch. Anantara Hotels, Resorts and Spas is looking for a young reporter – and by young, they mean someone between 7 and 15 years old – to cover the King’s Cup Elephant Polo Tournament planned for Hua Hin, Thailand, from Sept 4-11, 2011. This is the 10th anniversary of the international event and the competition to find a young reporter to cover the event is part of this year’s celebrations. The winner – and an accompanying adult — will not only have an opportunity to report on the week-long event but receive an all-expenses paid, seven-night stay at Anantara Hua Hin. To enter, go to www.facebook,com/anantara,press. Press like and then go to Share on the main wall. Click Video, where you have a chance to record a video with your webcam or upload a pre-prepared video and tell Anantara why you should be chosen as Anantara’s roving elephant reporter. It’s called the Anantara Honeymoon Registry is it’s being offered at five Ana Tara resorts in Thailand and three Ananatara resorts in the Maldives. In developing the concept, Anantara Hotels, Resorts and Spas partnered with Honeymoon Wishes, founded in 2003 by Kristin Stark and her now husband, Lee Cornwell. Kristin envisaged a bridal registry that focused on honeymoon gifts and experiences couples would remember all their lives. What kind of gifts? A bottle of chilled French Champagne delivered to the newlyweds’ room; a room upgrade offering memorable views and superior amenities; water sports – learning to swim; local cooking classes so that they can recreate their favorite dishes on returning home; a signature treatment or package at Ana Tara Spa and a Dining by Design night at a secluded location, complete with your own personal chef and private butler service. 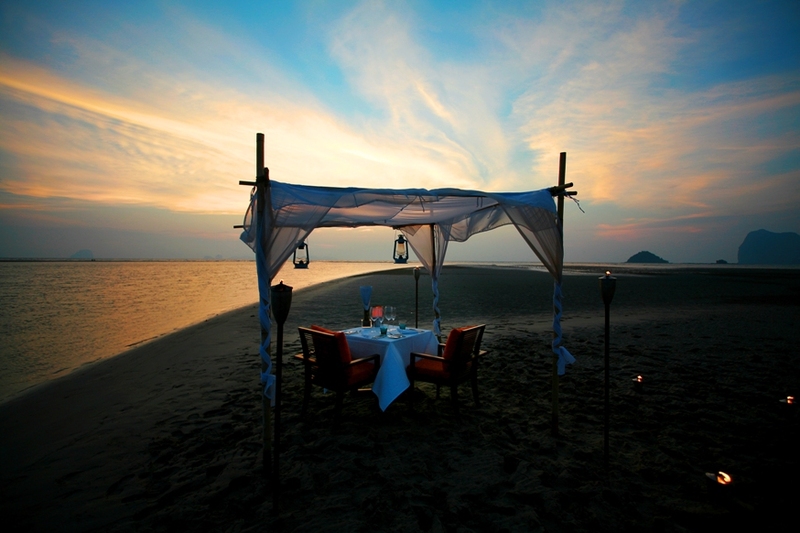 Signing up is really easy and free – www.Anantara.HoneymoonWishes.com. Couples begin the process by browsing sample registries for suggestions before customizing their own personal honeymoon registry of items and activities as wedding gifts. The package also includes a complimentary wedding website that includes a section for photos, blogging and even tracking RSVPs. Anantara Lawana Resort and Spa, edging Koh Samui’s famous beach and offering sensational sea views; Anantara Bophut, also on Koh Samui, where honeymooners can take a sunset cruise across the Gulf of Siam; at Anantara Phuket Villas, newlyweds can take advantage of professional sailing lesson; a surreal scuba experience in the Andalman Sea around Anantara Si Kao Resort and Spa; and at Anantara Golden Triangle Resort and Spa, honeymooners arrive by traditional longtail boat along the Mekong River, followed by an elephant trek to the hilltop resort. Banyan Tree is launching its exclusive Touch of Wellness courses to mark the 10th anniversary of the opening of its spa academy is Phuket. Its Touch of Wellness program is designed specifically for guests and offers a series of wellness lesions for pampering yourself and loved ones and features seven massage and treatment courses – led by an experienced Banyan Tree therapist. These include: Couple massage, foot relief, face and head massage, massaging your parents and massaging your children, self-massage and beauty basics. These courses are available for 2,000 bhat plus per person for the two-hour session. The Banyan Tree Spa Academy, the first of its kind in Thailand, was established in May 2001 to train therapists for both Banyan Tree and Angsana Spas world-wide. It is recognized as one of the best training programs in the industry. The academy was founded for two reasons – to meet the demands of Banyan Tree Spas’ rapid world-wide expansion and to enable Banyan Tree Spas to formalize their unique school of thought and maintain its leadership in the spa industry. It is equipped to conduct a comprehensive training course and can accommodate up to trainees at one time. It turns out a maximum of 40 students per course. Training rooms containing massage beds are used for hands-on training in massage, beauty and hair treatments. Other facilities include a computer centre and a centre for English learning. The training program encompasses all areas of spa therapy – human anatomy knowledge, important pressure points, modern and traditional massage techniques, body weight variations, beauty treatments, properties of herbs and spices, application of spa ingredients, knowledge of skin epidermis and facial applications. Banyan Tree set up a second spa academy in 2003 in Bintan, Indonesia, where it is licensed by Indonesia’s Ministry of Education; and its Lijiang Academy in 2007 to train Chinese spa therapists. In Thailand, the academy is accredited by the Ministry of Education and the Ministry of Public Health. It has trained more than 1,300 therapists since it was founded. Therapists who display great attitude, talent and aptitude are identified early and have the opportunity to become a spa manager. Outstanding therapists are chosen to undergo further training under Banyan Tree’s unique therapist fast track program, where they are groomed to move up the ranks to become senior therapists and management program trainers, where potential leaders are identified and trained to take on management roles within two years. Banyan Tree’s selection criteria for therapists centre on intuitive touch and skills and attitude, sensitivity and enthusiasm. Like the sacred tree which inspired its name, Banyan Tree offers guests a “sanctuary for the senses – a high-touch, low-tech approach that celebrates the human touch and the use of natural herbs and spices”. It was the first luxury oriental spa in Asia when it first opened in Puket in 1994, re-introducing an exotic blend of time-tested Asian healing therapies and beauty remedies. Angsana Spa complements Banyan Tree Spa with its treatments, inspiring guests to live life spontaneously and savour time. Its blend of treatments emphasize the use of native flowers and fruits. To date, Banyan Tree Spa owns and manages over 60 spas in almost 30 countries under the Banyan Tree Spa, Angsana Spa and Elements Spa by Banyan Tree brands. Instead, Mandarin Oriental in Bangkok has launched a special residential experience package as part of its 135th anniversary celebrations. The seven-night package includes one free night; accommodation in a luxury room with personal butler service; daily breakfast; daily Internet access; early check-in and late check-out; set dinner for two at Sala Rim Naam Thai restaurant; set lunch for two at Le Normandie French restaurant; a one-hour spa experience for two; and a 135th anniversary memento. 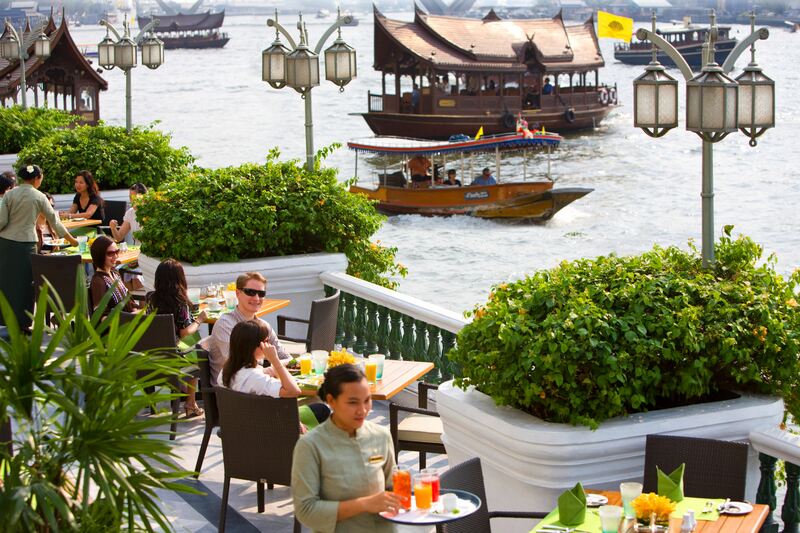 The Mandarin Oriental Bangkok sits on the banks of the Chao Phraya River. It is one of the oldest and finest hotels in Bangkok and a favourite of royals, heads of state, the rich and famous and literary greats from all over the world since it opened in 1876.